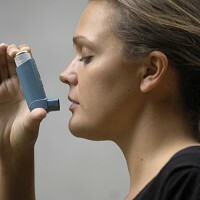 Fears over job security could increase people's chances of developing asthma, according to new research. Research suggests people with "high job insecurity" are 60% more at risk of developing the condition than those who have little to no concerns about their employment status. If you're worried about your career prospects, there are ways to increase your employability, whether you're out of work or currently have a job. Taking on volunteer work shows initiative and can equip you with a range of new experiences that will make you look attractive to prospective employers. Working holidays are a great way to see the world while bolstering your CV and making you more employable at the same time. And you needn't fear about insurance - pre existing medical travel insurance for a range of conditions, including asthma, is available. A study gathered data from 7,000 adults who were employed in Germany in 2009 in the midst of the severe economic downturn that was gripping Europe at the time. Those taking part in the study were questioned about how strong they felt their job prospects were over the next couple of years. They were also asked about various health issues. One of the questions was whether they had asthma. The research showed that two years later, 105 new cases of asthma had developed among the sample, and a significant number of those were from people who were fearful over their future employment. Fancy working overseas or taking a well-deserved break? Asthma is no reason to stop you travelling, but there are a few things you can do to make your experience go as smoothly as possible. Know your limitations: If you have severe asthma, it might be impractical to fly long distances. Don't push yourself. There are plenty of short haul flights available to some wonderful destinations. Do your research: If your condition is affected by climate, you might want to consider what the weather will be like at the time of the year when you're travelling. If it's likely to aggravate your asthma, you might want to think about heading somewhere else. Pack carefully: It's sensible to keep your medicines with you in your hand luggage. This way, if the worst happens and your checked luggage gets lost, you'll still be able to stay healthy.